San Diego native, Kara “KJ” Ashely, also known as “KJ” in professional art world, is a local force to be reckoned with. A fresh face to the local art scene, having fully committed to art in just 2015. Creating ink drawings and painting both acrylic and spray paint murals, her styleis a blend of beauty and surrealism. With a background in tattoo culture, and the development of a formal art education her work is broad spectrum and diverse. Often using clean lines and smooth blends in combination with high contrast values and traditional techniques, KJ not only pulls in the viewer but generates interest in the moment captured with her work. 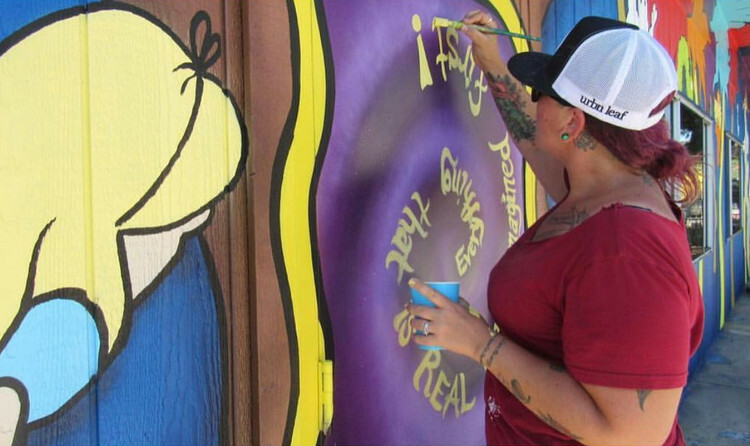 This has led to her creating custom murals for several San Diego businesses, as well as custom commission works for some of her clients.